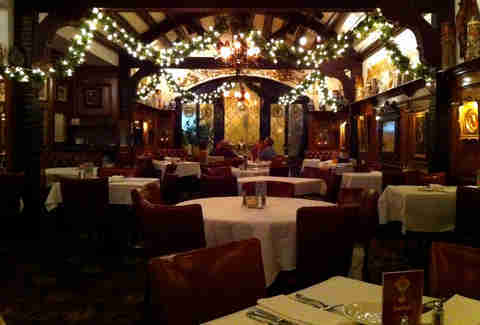 Kilbourn Town What you're getting: Bavarian platter Super German, super old (founded in 1902), super-cool atmosphere. There’s so much history here, in the form of wood carvings, stained glass, suits of armor, and about a million Hummel figurines. Try to focus on your Bavarian platter though, with bratwurst, knackwurst, weisswurst, potato dumplings, and smoked pork chops, in case the sausages weren’t enough pork. Bay View What you're getting: Kilig Look past the hipsters and trust in the sausage. Besides sides -- poutine anyone? 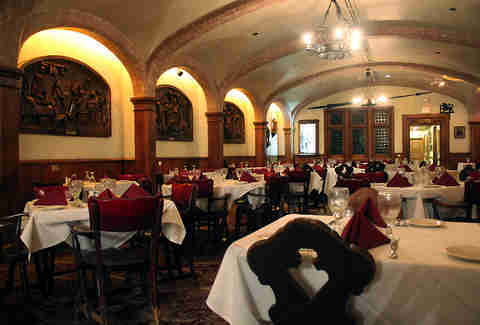 -- the entire menu is tubed meats, and all of them creative and unique. Take the Kilig for example, an Asian-inspired sausage seasoned with palm sugar and soy, topped with bean sprouts, basil, cilantro, chili sauce, and hoisin. Chinese takeout wishes it were this good. 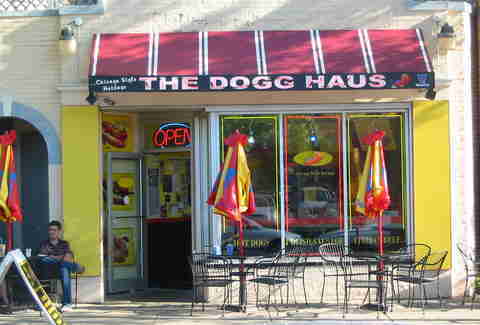 A favorite of Marquette students and Downtown office workers alike, The Dogg Haus specializes in hot dogs. But go for the gusto and get the Polish sausage instead. And when they ask you if you want it steamed or fried, scoff that they’re even asking, because who wants steamed sausages? Deep frying gives it a lovely snap and caramelized exterior. Have them top it with onions and hot giardiniera to cut through the grease. 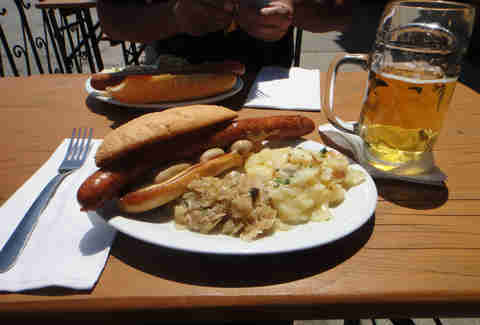 Kilbourn Town What you're getting: Weißgerber smoked bratwurst Giant liter mugs of Hofbrau? 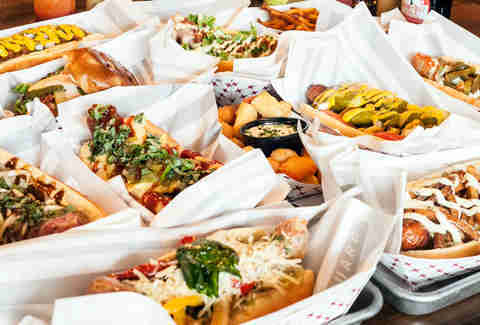 Yes please, but you’ll need sausage to soak up all that beer. If you have no idea how to pronounce Weißgerber, that’s OK, just say you want the smoked brat. No matter what you call it, it will jut hilariously out from both sides of the bun they put it in. 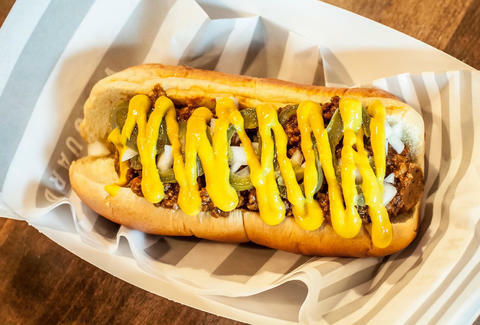 Lower East Side What you're getting: Italian sausage sandwich with hot giardiniera This Italian specialty market has a huge deli and prepared foods section, plus you can order freshly prepared pastas, panini, and Italian sausage sandwiches. 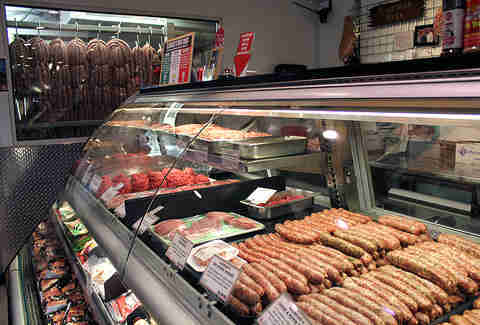 You know the sausage is fresh, since they’re hanging in the butcher window. If you’re really hungry, get the Italian sausage and Italian beef combo sandwich, topped with homemade giardiniera. Juneau Town What you're getting: Usinger’s sausage medley Another landmark German restaurant in MKE, and another that serves delicious Usinger’s products. There are two sausage platters to choose from here, but you should go with the Usinger’s sausage medley. Why? Because it comes with spatzle. Yes the multiple sausages are obviously great, but those little dumplings fried in butter just put it over the top. 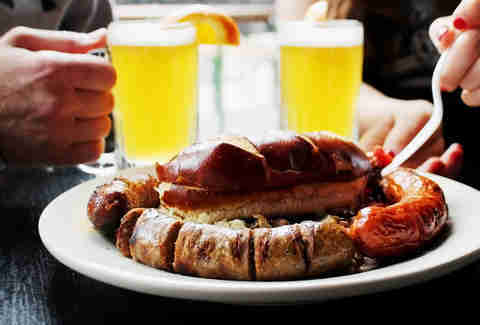 Lower East Side What you're getting: Bangers and mash For something a little different than the usual German and Polish sausages around these parts, try the English-style bangers and mash at Red Lion Pub. 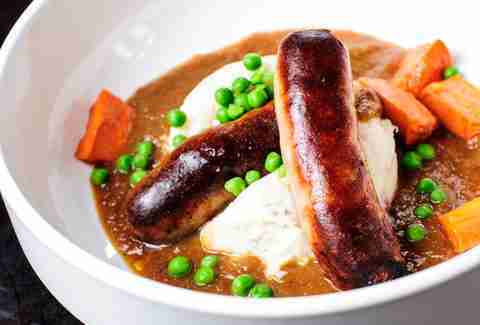 A couple plump, golden sausages are piled on top of mashed potatoes, veggies, and ale gravy. It’s kind of like hearty stew, but made with pork sausages instead of beef. 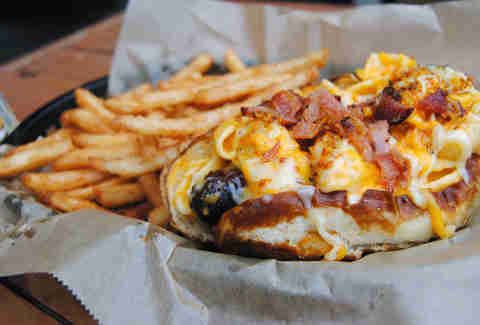 Kilbourn Town What you're getting: Mac and cheese brat Combine our favorite tubed meat (Usinger’s brat, duh) with our favorite cheese (the macaroni+ variety), and that meal is a no-brainer. Add bacon and put it in a pretzel bun... I know everyone from Wisconsin is salivating just reading this. The brat is cooked in Riverwest Stein, too. Genius all around. 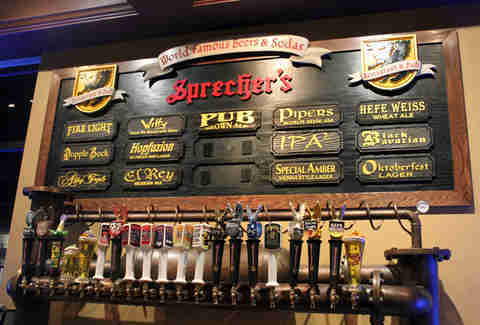 Glendale What you're getting: Wisconsin’s best wurst platter The best wursts are represented on the Sprecher’s Pub sausage platter: bock, knock, and weisswurst. While I wouldn’t be able to tell you which one was which, I can tell you that they’re all tasty. Spatzle makes an appearance here again, along with red cabbage and spicy mustard made with Sprecher’s beer for dipping. Sign up here for our daily Milwaukee email and be the first to get all the food/drink/fun in the Brew City. Lacey Muszynski is a Milwaukee native who is now craving the Hungarian sausages from Rupena’s. Follow her at WorthHerSalt.com.